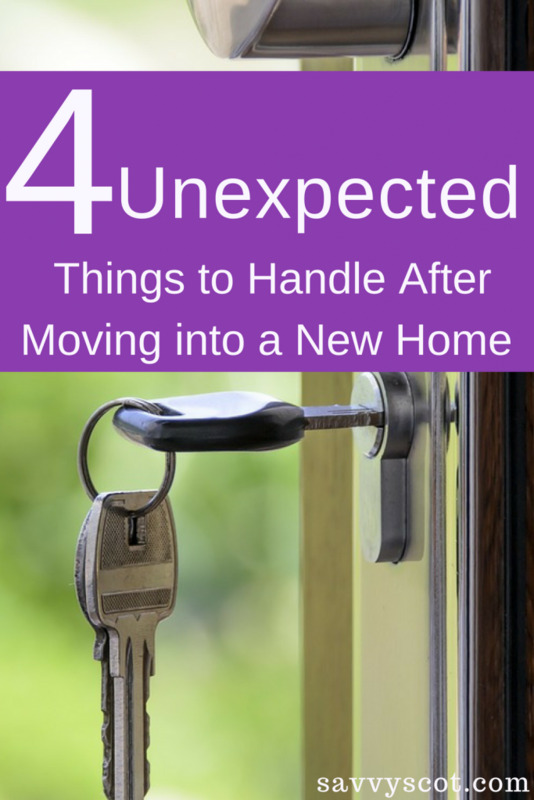 Moving already proves to be a stressful process for many people, with anxiety added after realizing the many things you still need to handle after you’ve moved into your new home. During a time you’d expect to be unpacking and putting away your belongings, there are still many tasks to accomplish before you can truly settle in. At least four unexpected items may fall on your to-do list once you’ve arrived. You wouldn’t normally think you’d have to worry about pests in the home as soon as you’ve moved in, but you need to realize that there were former owners living inside the space before you arrived. You have no clue about their lifestyle or the way they ran their household. They could have easily allowed bugs to remain inside without handling the problem before they left. Call a local pest control agency to handle the problem. For example, agencies operating pest control in Orange County send professionals out to the house to assess the situation and possibly perform fumigation They can handle the situation promptly and efficiently so your new place is insect-free before you’ve moved any of your belongings inside. Storms, power outages, and simple problems within the home can creep up at anytime. You wouldn’t want to be left in the dark without knowing where the fuse box is for you to attempt to turn the lights back on yourself. Too many people fail to find the main components of the house, like the fuse box and main water valve until after they need them. Locating these things as soon as you move in and making a note of how to work them will help ensure you can handle yourself in an emergency situation. If you’re big into fitness, you want to make sure you have a space for your training equipment. Even if you aren’t that big into it, it’s always wise to have at least some sort of machine available so you can get in some exercise and keep yourself healthy. You may have wanted to move so badly that you forget to think about how much space there would truly be for your fitness equipment. With limited space in the home, you will have to find a way to incorporate your gym gear without interfering with the overall look and feel you were hoping to achieve. Handle this area first so you can work the rest of your furniture into the concept. Many people realize once they’ve moved that they don’t actually know anyone in that particular part of town. Finding an entirely new social circle is going to be on your list of things to do once you’ve moved to a new place. It’s always ideal to start finding friends before you’ve made the move. Visit the neighborhood you’re going to and introduce yourself. Stop by the local shops and even take your kids to a nearby park. Starting to incorporate yourself into the area as soon as possible will help make finding friendships easier down the line. You are probably more than ready to settle into your new house and start living your life. Unfortunately, that cannot yet happen until some unexpected circumstances are dealt with properly. You need to assess the situation and determine which aspects you need to handle right away before you fully begin the moving process. Always be prepared for anything while moving. Excellent considerations, as not everybody knows to look for these things … great post!